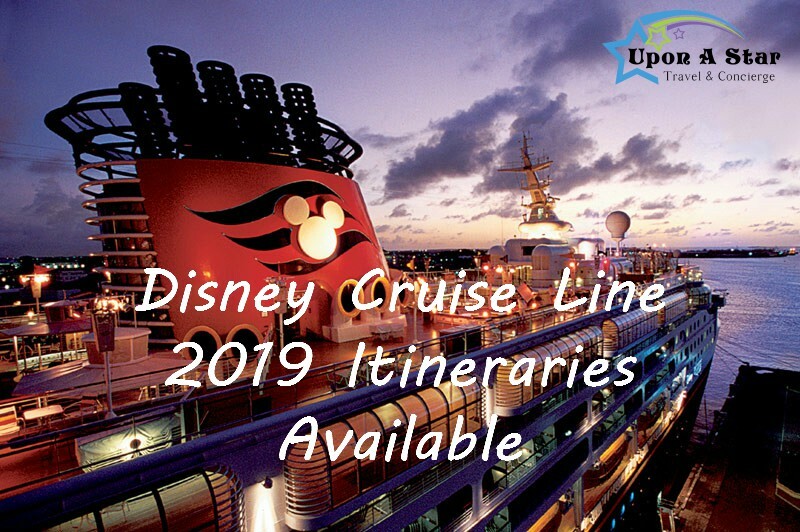 It may seem a bit early to start thinking about your 2019 vacation, but when it comes to a Disney cruise the motto is (well, should be) “The earlier the better”. Disney’s award-winning cruises are among the most desired, fastest-booking itineraries in the industry. Often you need to book as soon as the itineraries become available to get your favorite stateroom. Since categories and rooms fill up quickly, the best prices are now and go up as the ship fills. Disney will be opening their early 2019 itineraries this week with some exciting new options while keeping some favorite destinations. The Disney Wonder returns to San Diego for an extended season from March to May 2019, with a variety of two to seven-night cruises to Mexico where guests can enjoy exciting culture, fabulous beaches, exciting water activities, cliff diving and more. In January, three special Disney Wonder cruises from San Juan sail to the Southern Caribbean. On the 6 or 7 night sailings guests can enjoy the island culture, sunbathe on golden beaches and shop in local marketplaces. Visit tropical destinations renowned for beautiful beaches and warm blue water. These family favorite itineraries are some of Disney Cruise Line’s most popular. If you are a first-time cruiser, you could definitely find the perfect itinerary to get your feet wet. In early 2019 Disney Cruise Line will have 3 ships in port and cruise lengths spanning 3, 4 and 7 nights, with a full menu of options from Port Canaveral, near Orlando, FL. The Disney Magic continues sailing from Miami with 4 and 5 night sailings to the Bahamas, plus 5 night Western Caribbean cruises. These itineraries include stops at Key West, FL, Nassau and Grand Cayman or Cozumel. All Cruises departing from Florida will stop at Disney’s private Bahamian island, Castaway Cay. This oasis has pristine beaches, turquoise water and is exclusive for Disney Cruise Line Guests. You will be treated with the hospitality and service you can only get from Disney. Bookings open for Platinum Castaway Club members on October 30, 2017, Gold Castaway Club members on October 31, 2017, Silver Castaway Club members on November 1, 2017 and to all Guests via phone and online on November 2, 2017. Contact your Star Agent today to get your favorite stateroom at the best price.